The selection of materials for engineered products is a key decision. It impacts the manufacturer, installation, reliability and long-term costs of water works systems. 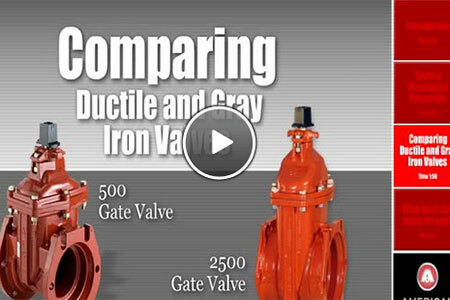 Two materials with a long history of service in the water works industry are ductile and gray iron. AMERICAN answers your questions about each in this video.